If you’re a new real estate agent, it’s a good idea to have your elevator pitch ready as soon as you’ve earned your real estate license. 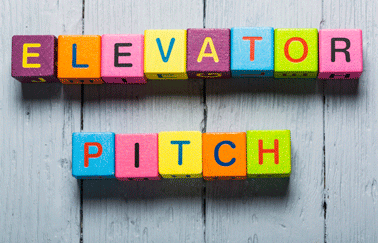 An elevator pitch is a quick and succinct exposition of your services designed to grab your prospect’s interest in the approximate length of an elevator trip—about a minute. Crafting and perfecting your real estate elevator pitch is essential to new agents. You’ll need it, and not just in elevators. Your real estate elevator pitch should tell your prospects what you can do for them. It should reveal your value proposition—what makes you different—and how that will benefit them. Presenting the perfect real estate elevator pitch often depends on who’s doing the approaching. What you might say as you’re cold calling a potential lead is different than what you’d say if someone emails you regarding a property. So, let’s look at how to initiate your pitch for these different types of scenarios. Are you relocating to this area? Is there a specific property I can help you with? Starting your pitch with a question allows the prospect to become engaged. It also allows you to learn more about what they’re trying to accomplish, which lets you tailor the rest of your pitch to their specific needs. Whether you’re mingling at a local festival or watching your kid’s baseball game, you never know when the opportunity will arise for you to approach someone about your business. The same rule applies here: the best pitch starts with a question. Keep in mind that you want to make your pitch part of normal conversation. A hard sell could turn off potential prospects, particularly in a laid-back setting. Let’s say that a fellow parent sits down beside you at your son’s baseball game. You make a comment about the game. Here’s your opening. You ask which child is theirs, which leads to a conversation about schools, which leads to a conversation about how long they’ve lived here, etc. You’ll find the right time to throw in your real estate business. Mention any specialties or certifications you have. End by giving them your business card. Practice your real estate elevator pitch with your mentor or someone you trust. Keep it between 30 seconds to a minute. Craft several pitches depending on the scenario, and commit them to memory. But always remember to let the conversation happen organically. Use your real estate elevator pitch as your guide, and you’ll grow your sphere of influence in no time. Are you a new real estate agent? Check out our article on the 7 Components of a Real Estate Business Plan for more advice on getting started in real estate. Not licensed yet? Learn how to get your real estate license.